Offers services to adolescents with gynecological issues, complex health issues, eating disorders as well as providing services for adolescent parents and their babies (if followed during pregnancy in the Gynecology Program). Allergy & Immunology specializes in the assessment and management of anaphylaxis, food allergies, asthma, seasonal and perennial rhinitis, reactions to insect stings, drug allergies, eczema (atopic dermatitis), chronic uticaria, immune deficiencies autoimmune diseases, and periodic fevers. Dermatology has traditionally been a busy service averaging 7000 patient-visits per year in their outpatient services. The team also responds on a daily basis to urgent and semi-urgent consultations from the ER, wards and or other outpatient clinics. Four half-day general pediatric dermatology clinics take place per week. Specialty Clinics include: Hemangioma Clinic, Genetic Skin Disease Clinic, Joint Rheumatology-Dermatology Clinic, Café-au-Lait Clinic, Facial Warts Clinic, Molluscum Clinic and Dermatological Surgery Clinic. They evaluate and mange a wide range of dermatological conditions, the most common being atopic dermatitis (eczema), acne vulgaris, infantile hemangiomas, vitiligo and psoriasis. They are also able to access a variety of birth marks and skin tumors or nevi. Skin infections (tinea, impetigo, molluscum, facial warts) are also an object of frequent referrals. They have the expertise to diagnose and treat rarer dermatological conditions and rashes including disorders of the hair and nails, genetic skin conditions and rhumatological conditions such as morphea or lupus. As a service within a tertiary care academic center, they offer cutting edge treatments such as propranolol for hemangiomas, but also still employ older proven remedies like tropical corticosteroids. They administer phototherapy treatments to selected cases and perform minor surgical excisions under local anesthesia when indicated. The pediatric cardiology evaluates and treats newborns, infants and children with congenital or acquired heart disease including arrhythmias. The team also provides a consultation service for fetal cardiac problems. The Montreal Children's Hospital (MCH) offers the latest diagnostic methods and technological modalities including fetal echocardiography, trans-thoracic and trans-esophageal echocardiography, cardiac MRI, diagnostic and interventional heart catheterization and electrophysiology. Eleven half-day patient ambulatory clinics are offered weekly, including a newborn baby clinic for prompt assessment of newborn murmurs. The MCH is linked to the provincial telehealth network, and offers cardiac consultation services including echocardiography via telemedicine to the other 35 members of the network. The Pediatric Intensive Care Unit (PICU) offers state-of-the-art care using a multidisciplinary team approach for critically ill or injured neonates, children and adolescents. The unit is a major provincial, national and international referral center. Services include complex congenital cardiovascular surgery, seizure and tumor neurosurgery, craniofacial reconstruction, complex orthopedic surgery, tracheal reconstructive surgery, level 1 trauma, extracorporeal life support, high frequency ventilation, nitric oxide program, and solid organ transplantation. The majority of the trainee's clinical exposure will be at the Montreal Children's Hospital multidisciplinary (medical-surgical , cardiac) Pediatric Intensive Care Unit, with elective opportunities in Cardiology, Anesthesia, Neonatology, Echocardiography, Radiology, Cardiac OR, EEG, Palliative Care, and Adult and Neuro Critical Care. Residents are also integrated into the Level 1 trauma response team, and function as leaders of the Resuscitation Team. We have an active extracorporeal life support program including Continuous Renal Replacement Therapy, Extracoporeal Membrane Oxygenation and Ventricular Assist Devices. Weekly divisional rounds include trainee, attending and consultant presentations and also sessions in Bioethics, Applied Physiology, ECG, Pharmacology, Manager and Communicator, Bedside Ultrasound, Interdisciplinary Quality and Safety reviews, Clinical Questions and Journal Clubs. The curriculum is well supported by an international expertise in medical education by several of the faculty in the Division. A wide breadth of research opportunities exists within the Division of Pediatric Critical Care for scholarly activity including clinical research, quality improvement and medical education care throughout the McGill University Health Centre Research Institute (MUHC RI). Our Pediatric Critical Care Scholarly Program includes a formal curriculum covering concepts of epidemiology/biostatistics, and training on protocol development, data collection/analysis, manuscript writing, and academic presentations under the supervision of an epidemiologist. Trainees participate in weekly divisional Research rounds. Trainees will also develop expertise in Medical Simulation at state-of-the art McGill Medical Simulation Centre and during in situ SIM training. Our Pediatric Critical Care Simulation Program includes sessions on clinical management (Trauma and Cardiac cases), airway management, procedural skills, communiation, and team building. Trainees participate in hospital/level trauma, airway and code orange simulations. The program director runs an organized program that is flexible to meet each trainee's needs. Each resident is assigned a faculty advisor. The program has a strong national and international reputation and participation which enhances learning for all. A multidisciplinary team provides specialized acute health care to triage, stabilize, diagnose, treat and transfer patients onward for further care. The department is a designated Pediatric and Adolescent Trauma Centre and is open 24 hours a day providing diagnosis and treatment of surgical "Tertiary Trauma Centre" and is opened 24 hours a day providing diagnosis and treatment of surgical emergencies such as dental, ophthalmological, otolaryngological, orthopedic, plastic surgery, general surgical, neurosurgical and urological. The department specializes in minor and major trauma management. Facilities include 13 individual treatment rooms, 4 beds for critical care, an 8 bed observation unit and a 6-patient asthma care area. A full staff of pediatric emergency physicians, nurses and pediatric sub-specialists is on service around the clock providing care and consultations to the community. Dr. Isabelle Gagnon, P.T., Ph.D. Provides care through a multidisciplinary team approach for children with disorders such as juvenile diabetes, slowed of abnormal growth, precocious or delayed puberty, thyroid gland dysfunction, diabetes insipidus, hypoglycemia, lipid and metabolic bone disturbances, and tumors of endocrine glands. The division offers endocrine and diabetes clinics, an insulin pump center, a lipid clinic, a weight management clinic for pathological obesity and a clinical investigation unit for urgent consultation as well as hormone testing and follow-up. The Department of Endocrinology is a member of the Quebec Thyroid Screening Program. Dr. Jaquetta Trasler, M.D., Ph.D. Provides diagnosis, treatment and long-term follow-up of children with diseases of the gastrointestinal tract, the pancreas, the liver and biliary tree. Provides outpatient consultation in general GI, hepatology, Inflammatory Bowel Disease (IBD), Celiac Disease, and motility, as well as inpatient GI consultations. Procedures available include upper and lower endoscopies, wireless capsule endoscopies, and pH-probe monitoring. The Division of General Pediatrics includes 56 full and part-time consultant pediatricians, who provide services through the Asthma Centre, the ADHD Program, the Child Development Program, the Child Protection Program, the Pediatric Consultation Centre, the Complex Care Service, the Residency Continuity Clinic, the Medical Day Hospital, the Medical Inpatient Units, the Short Stay Unit, the Multicultural Health and Adoption Clinic, the Palliative Care Program, and the Pediatric Medical Consultation Service. For more information about services please visit the Division of General Pediatrics page. Diagnostic, treatment, long-term follow-up, and family-centered care is provided to children and adolescents with cancer through an interdisciplinary team approach. As such, the department provides the most advanced clinical care through clinical research. It is a founding member and active participant of the Children's Oncology Group, the world's largest childhood cancer research organization. The service offers diagnostic and comprehensive treatment for children with sickle cell disease and other blood disorders including hemophilia and thalassemia, leukemias, solid tumors, and brain tumors. Hematopoietic stem cell transplantations are performed for specific cancers, leukemias, inborn errors such as immunodeficinecies and rare metabolic disorders. Clinical hematology laboratory and molecular services are an integral component of the service. Provides consultation service in all aspects of infectious diseases including significant viral, bacterial and fungal infections. the division specializes in the areas of infection control, immunological aspects of infectious diseases and microbial pathogenesis of disease. The division is actively involved in vaccine trials and other aspects of clinical research. The Neonatal Intensive Care Unit (NICU) is composed of a multidisciplinary team including neonatologists, pediatricians, neonatal nurse practitioners, respiratory therapists, pharmacists, nutritionists, social workers and consultants who treat acutely ill newborn infants (premature infants and term infants with serious medical and surgical disorders). Patients are transferred from other nurseries across Quebec. The Division of Pediatric Nephrology has a well-established 2-year Pediatric Nephrology Residency Training Program, which strives for excellence in clinical care, teaching and research. It is fully accredited by the Royal College of Physicians and Surgeons of Canada and recognized by the American Board of Pediatrics. In addition, there is the option of a non-obligatory third-year, in-depth clinical or research fellowship. Consultation and clinical care for a wide variety of genetic and acquired kidney diseases and electrolyte disorders are offered by the renal ambulatory and interdisciplinary clinics 4-5 mornings per week as through the inpatient service. The latter includes pediatric wards, pediatric critical care and neonatal intensive care units across the MUHC and the Rheumatology and Hematology/Oncology services. We regularly confer with physicians locally, nationally and internationally. We maintain Outreach Clinics across the McGill Health Network (Réseau universitaire intégré de santé) and other parts of Quebec and use the hospital's advanced Telehealth facilities to serve patients in remote Northern communities. In addition to common problems, such as urinary tract infection and hypertension, we diagnose and treat a range of rare conditions originating from or affecting the kidney. We perform percutaneous kidney biopsies and continuous ambulatory blood pressure monitoring along with specialized treatments, including conventional and advanced extracorporeal therapeutic modalities, such as hemodialysis, peritoneal dialysis, continuous renal replacement therapy (CRRT), plasma and red blood cell exchange, renal transplantation and therapeutic monoclonal antibody infusions for various forms of acute or chronic kidney disease. The Division provides Pediatrics Nephrology rotations to qualified pediatric and medical residents, medical students and (adult) Nephrology residents as well as research opportunities. All of our faculty are involved in teaching Epidemiology and Statistics, Renal Physiology, Genetics or Biology at McGill University and internationally. Pediatric Nephrology faculty have their own externally funded basic research laboratories or clinical research program investigating various aspects of kidney disease with financial support by the Canadian Institute of Health Research (CIHR), the Kidney Foundation of Canada, the NIH and the International Society of Nephrology. Provides tertiary level care or above for children with challenging and complex neurological conditions. Inpatient consultation services are provided on a 24/7 basis to all areas of the MCH including the Emergency Room, intensive care units and wards, both medical and surgical. Ambulatory services are provided through initial consultation, and where necessary, on an ongoing basis to the following categories of neurological illness: epilepsy or convulsive disorders that are not related to fever; neurodevelopmental disabilities (i.e. global developmental delay, intellectual disability, cerebral palsy, developmental language impairment); neuromuscular disorders; headaches refractory to initial standard prophylaxis management; complex movement disorders (i.e. dystonia, chorea, athetosis, ataxia, spasticity, tremor) requiring medical intervention; neurogenetic, neurometabolic and neurocutaneous disorders; demyelinating disorders; and high risk survivors of the NICU and PICU. The division has an active ambulatory component, including the Cystic Fibrosis (CF) Clinic, Chest Clinic, Consultation Clinic, Tuberculosis Prophylaxis Program, Neuromuscular Clinic, Apnea Clinic, Bronchopulmonary Dysplasia Clinic, Infantile Respiratory Clinic and Home Ventilation Clinic. It also provides bronchoscopy service to both ambulatory and inpatients. Telehealth services available on demand. Respiratory Therapy, the Jeremy Rill Centre for Sudden Infant Death Syndrome, the Sleep Laboratory and Pulmonary Function Laboratory are part of Respiratory Medicine. The Rheumatology service at the MCH was started in the 1970s by Dr. Hannah Straczynski. Over the years, the division expanded under the direction of Dr. Julie Paquin and Dr. Ciaran Duffy. The division focuses on clinical care, teaching of postgraduate students, and clinical research. Currently, Dr. Claire LeBlanc is the director of the Rheumatology division. Children are seen in one of the Rheumatology clinics. Each physician has their own clinic time but they also take part in combined clinics with other services in the hospital such as Orthopedics, Nephrology and Dermatology. Pediatric rheumatology services are also provided at the Shriners Hospital (a half day clinic every month), and at Hôpital Val d'Or for the RUIS Abitibi-Temiscamingue (two clinic days every three months). 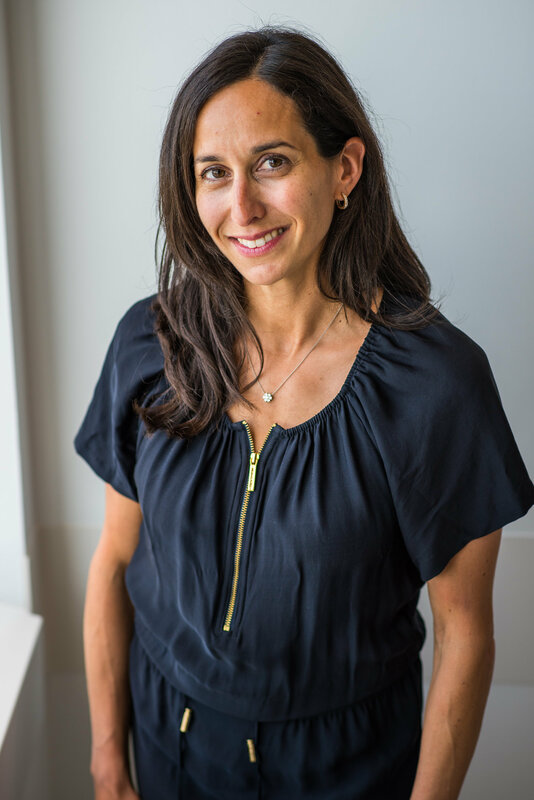 Dr. Claire LeBlanc also runs a sport medicine clinic outside the Montreal Children's Hospital (one-two half day clinics every month). The Division provides comprehensive services for children with rheumatic diseases. They will see and evaluate children with musculoskeletal pain, fever of unknown origin or other inflammatory conditions. Most of the services are provided through outpatient clinics. They also provide care to children who are admitted to the hospital as well as those who come to the Emergency room. The main diseases treated are juvenile idiopathic arthritis (JIA), connective tissue diseases (such as lupus, scleroderma, dermatomyositis), systemic vasculitis (such as Kawasaki disease), and periodic fever syndromes. Dr. LeBlanc also sees children with sport-related conditions.